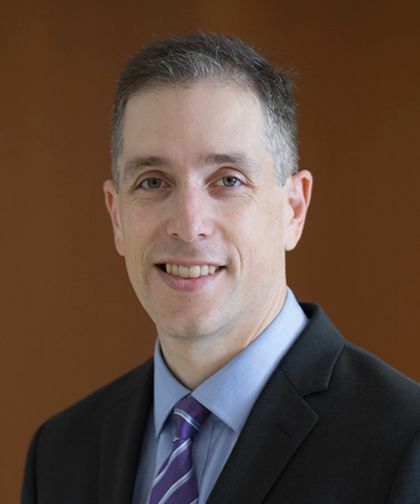 Howard S. Moskowitz, MD, PhD, is an Attending Physician and Assistant Professor in the Department of Otorhinolaryngology – Head and Neck Surgery at Montefiore and Albert Einstein College of Medicine. His clinical focus is on the medical and surgical treatment of ear and skull base disorders in adults and children, which includes chronic ear disease, hearing loss, dizziness, cochlear implants, and tumors of the ear and skull base. He is board certified in otolaryngology-Head and Neck surgery and neurotology. Dr. Moskowitz received his Bachelor of Science in 1998 at Cornell University. In 2005, he received his Doctor of Philosophy at Weill Graduate School of Medical Sciences of Cornell University. He then received his Doctor of Medicine in 2006 at Weill Medical College of Cornell University. In 2011, he completed a residency in Otolaryngology-Head and Neck Surgery at the University of Pittsburgh Medical Center. He then completed a fellowship in Otology, Neurotology, and Skull Base Surgery at Johns Hopkins Medical Institutions in 2013. Dr. Moskowitz’s research focuses on the treatment of vestibular disorders, superior canal dehiscence syndrome, quality improvement in medical education, and understanding the neural bases of auditory processing. His work has been published in numerous journals, books, and abstracts, as well as presented nationally. In 2017, Dr. Moskowitz received the Teacher of the Year Award from the Department of Otorhinolaryngology – Head and Neck Surgery. He was named one of New York Super Doctors Rising Star Edition from 2015 to 2017. Dr. Moskowitz is board certified by the American Board of Otolaryngology and is a member of the American Academy of Otolaryngology – Head and Neck Surgery and the American Neurotology Society.